The Cumberland, Wisconsin High School Class of 2018 got a special shout out from the local police department on an epic senior prank. The police department said on Facebook it was "one of the best senior pranks that Cumberland High School has seen." 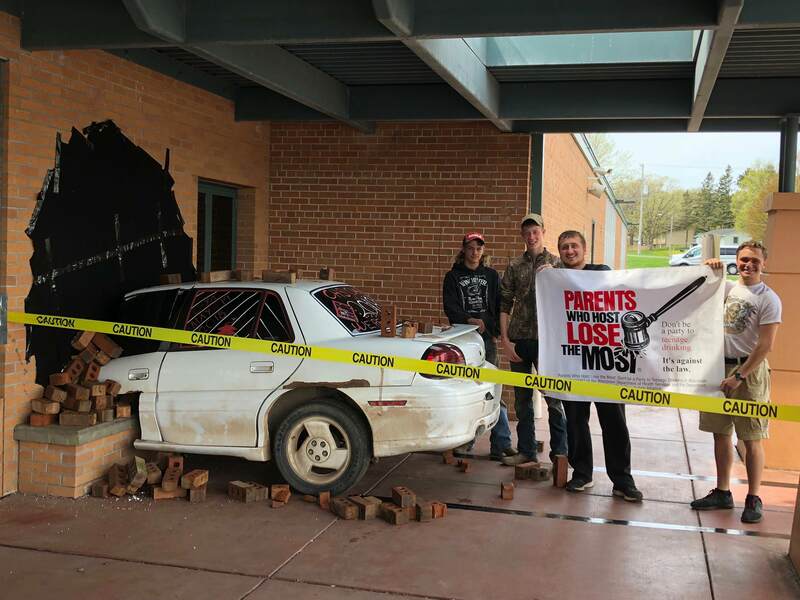 Students positioned an old junker strewn with loose bricks in front of what appeared to be a gaping black hole in the building's side, just outside the principal's office. It wasn't actually a hole, though. Using tape and a black tarp, the students created the illusion of damage, making it look like the car crashed into the side of the building. The back of the car said, "CHS Class of 2018." The best part? This prank included absolutely no damage at all to school property, which is why police singled it out. "Hats off to the Cumberland High School Class of 2018 on your senior prank...Congratulations to all the seniors who are graduating," police said. Principal Ritchie Narges is on board with the prank as well. He told TODAY'S TMJ4 the prank had staff smiling. "It looked very, very real. But then I thought, 'This has gotta be a prank,'" Narges said. "If this is the worst thing our kids are going to do, we've got some pretty darn good kids." This isn't the first time the tiny town of Cumberland has been in the viral spotlight. In fact, it's not even the first time this year. Back in January, the school district enlisted the help of former Backstreet Boys star AJ McLean to announce a snow day. "Hey there Cumberland Beavers," McLean says in the video. "It's AJ from the Backstreet Boys. I hear you guys have some pretty nasty weather out there today. yeah, It's a snow day and here to 'tell you why' is Mr. Narges and the entire administrative team." "You're having a snow day," AJ sings. It is unclear how the Cumberland school district got McLean's help, but the video canceling classes for the day caught the attention of people around the country -- it has since racked up nearly 70,000 views on YouTube.